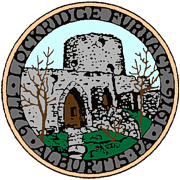 Welcome to the Borough of Alburtis! The Borough of Alburtis is less than 1 square mile with a population of 2,361. The Borough is rich in history and a sense of "home" is felt upon entering the Borough. Our residents and businesses have a sense of pride in their properties which is demonstrated by the well maintained buildings and manicured lawns. Located in the Borough are basketball, volleyball and hockey courts, the Playground of Adventures and a baseball field. We are also fortunate to have successful businesses on and around our Main Street that chose to call Alburtis home. Also nestled in our boundaries is Lockridge Park. The park is owned and maintained by Lehigh County and is open from dawn to dusk. Visit the park to enjoy the bluebells, festivals, trails, fishing and learn the history of the Lockridge Furnace. More history can be found at the Alburtis Lockridge Historical Society, which is housed in the basement of the Lockridge Memorial Presbyterian Church. The Church, located at Franklin and Church Streets is available to rent for weddings, showers or other events. Our job at the Borough is to help make our community a pleasant place to live, so please don't hesitate to contact us at 610-966-4777 or email at office@alburtis.org.